I’m proud to say that I’m slowly, but surely developing my green thumb and knowledge of plants and flowers. A few things I’ve learned is that the world of plants is quite vast, and that plants and flowers can really add to my at-home experience. 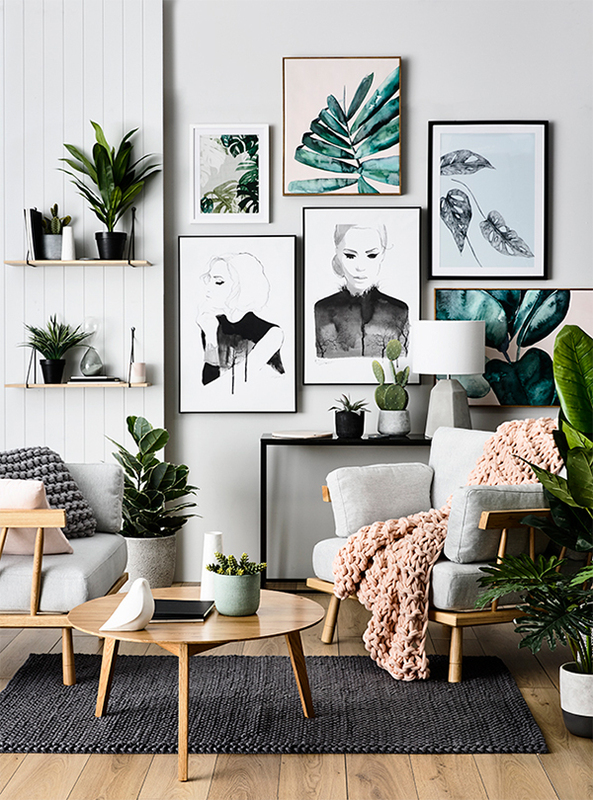 While I only own a few plants right now, my goal is to surround myself with gorgeous greenery at home… executed tastefully and with style of course! 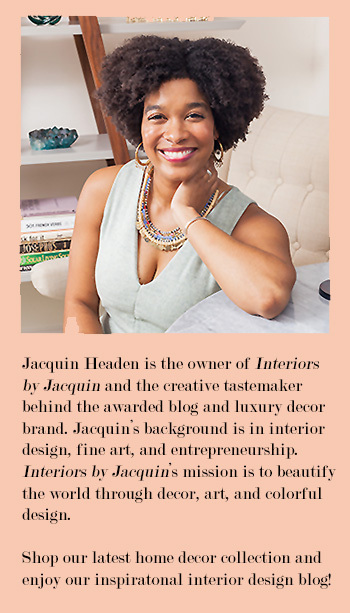 In honor of my botanical goals, here are some of my favorite interiors giving major indoor garden vibes. I’ve even included 6 great ideas for making potted plants work for you at home! 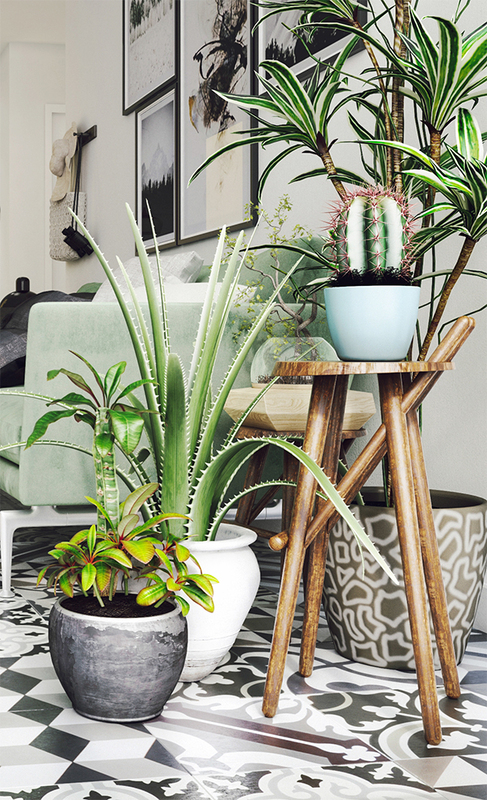 Cluster your potted plants in an empty corner of your home to maximize space. 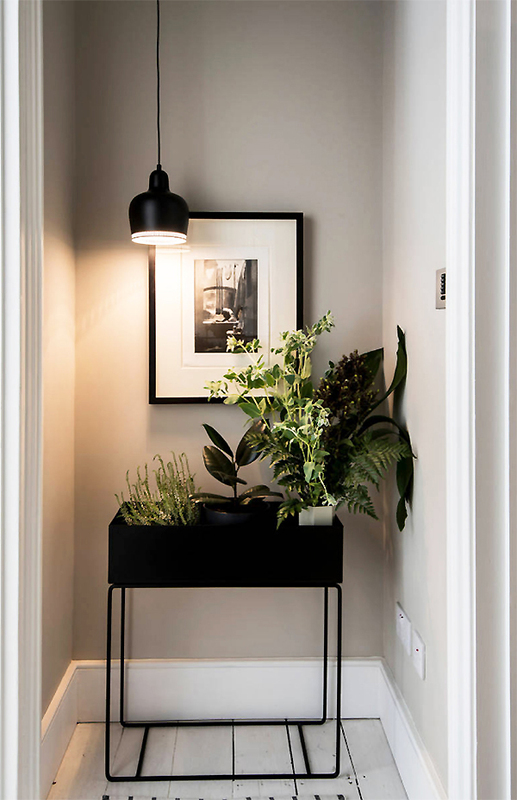 Using small side tables of varying heights will create great visual interest and allow you to see all of your plants at once. You can never go wrong with symmetry! 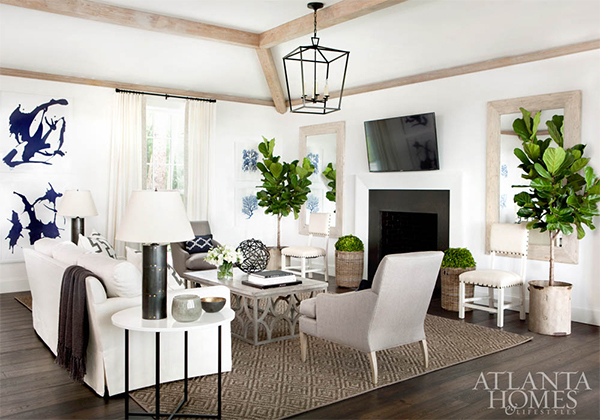 Choose two matching potted plants and place them across from one another for an upscale look like in this stunning Atlanta home. 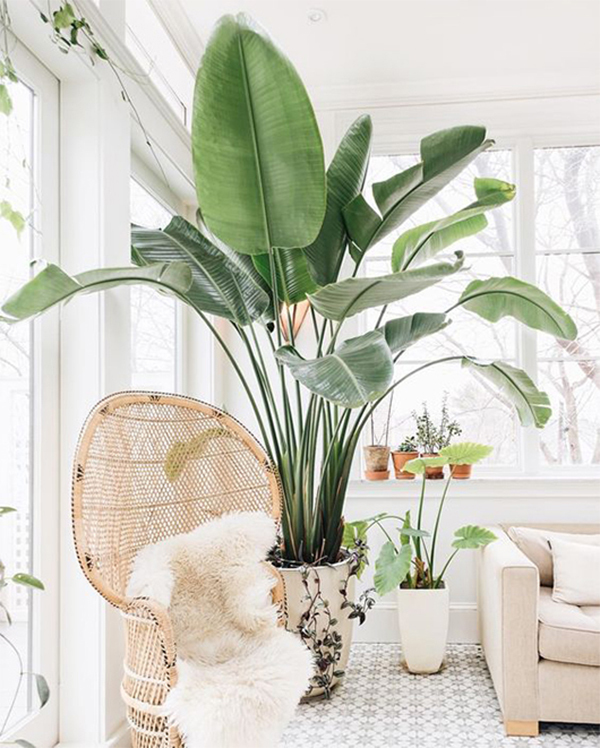 If you’re tight on space, choosing just one great oversized plant will go a long way. 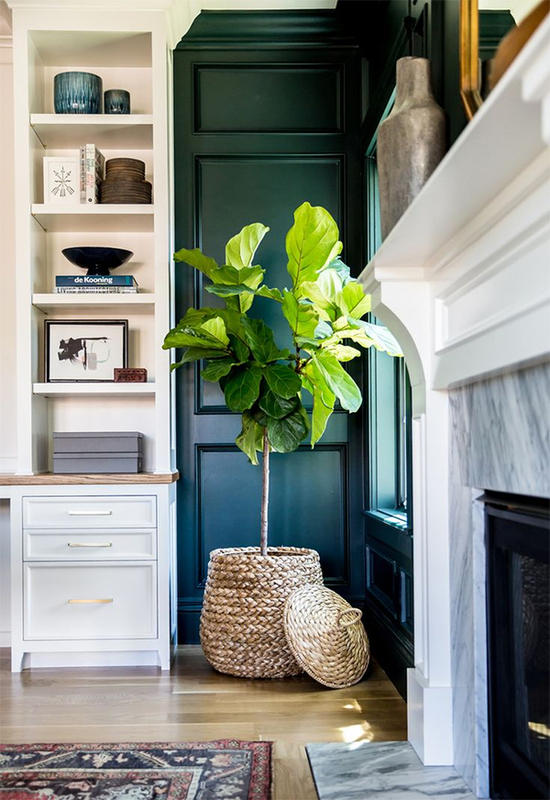 And you’ll love the pop of green it adds to your space! Try creating a stylish plant cart to maximize the look of your plants when styled together. This is a space saving idea that’s also really attractive. Just purchase your favorite bar cart and then fill it with your favorite potted plants! Another unique way to style several plants together is to hang them from a garment rack. 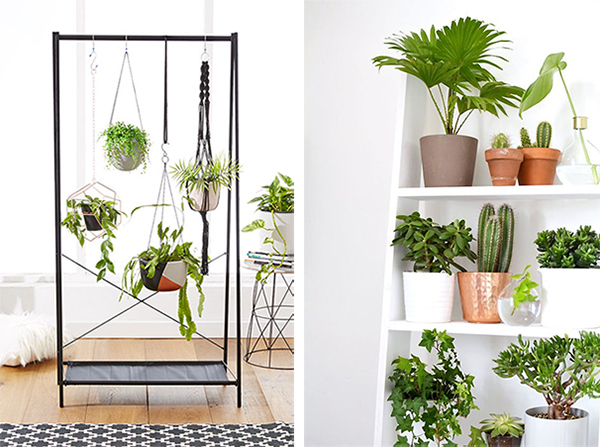 I love the look this creates with the plants hanging at different heights and it’s an unexpected use of a garment rack! This last idea is great for someone with a bit more space. Try filling an entire bookcase with potted plants like shown above. The results are a breath of fresh air… literally! Plants in a space really make everything better. Trust me!